Fast forward to today. He’s long over the cold, but apparently he remembers how nice the vaseline felt because he found it and got into it. The best part was when Brian brought him to show me I said, “Oh, Will.” and he got the saddest, most heartbreaking look on his face. I think he thought we were mad at him. Here he is with his shiny face. And hand. 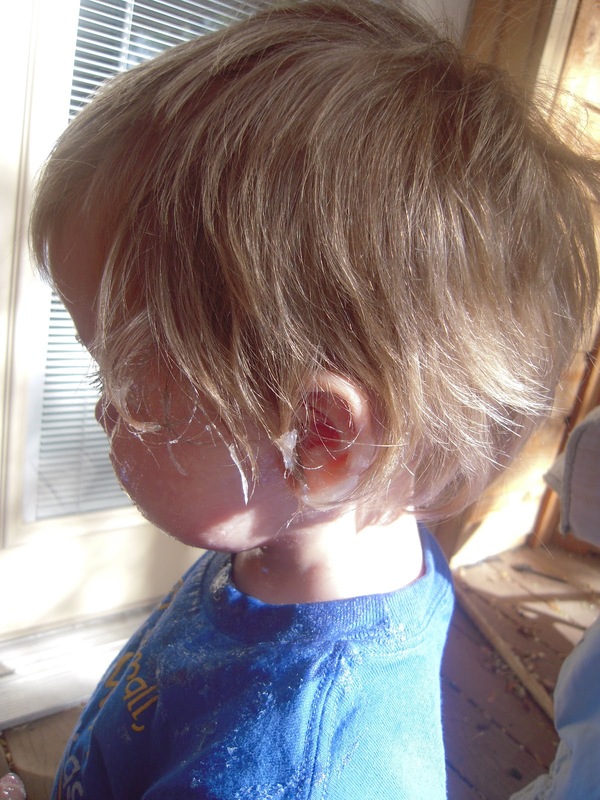 Gobs of vaseline in his hair and on his ear. Adorable! Although that had to take some time to clean off. I love his chubby arms. Ha! I am highly amused. He will have smooth skin for a long time now. 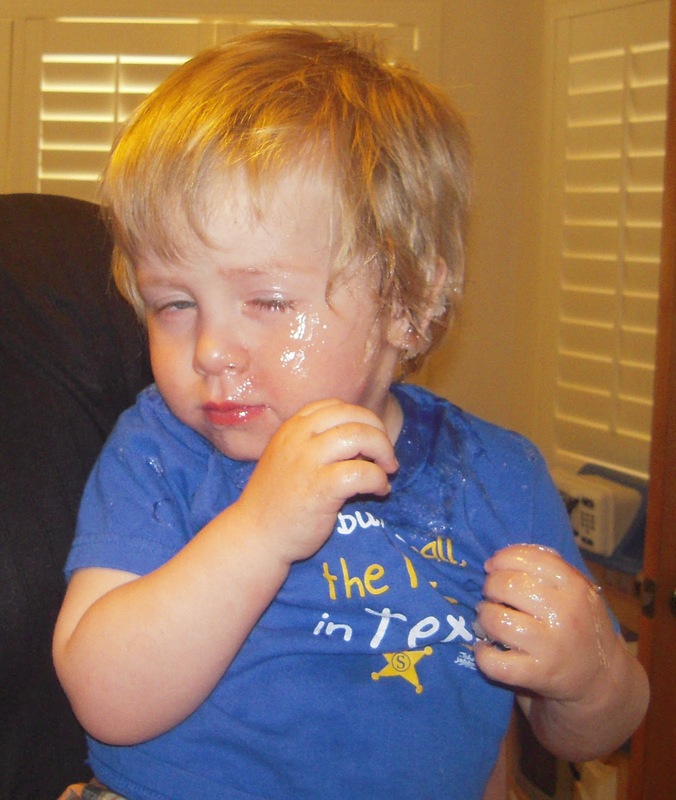 Vaseline is a pain in the CAN to get out/off anything. However, he will be highly moisturized probably through next winter. Heh. Oh man, Amelia got in to the Vaseline a couple times and it is HARD to get off stuff. You're a good Mom for not getting mad! We were lucky that he didn't touch anything except his face. I like how the "best part" was a heartbreakeningly sad face. JK I get what you mean. That's pretty adorable.